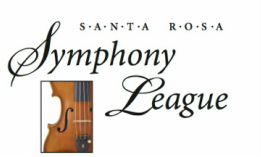 Thank you for coming to the Santa Rosa Symphony’s website. You can learn about and buy tickets here to any of our Festival of Parties, the Redwood Empire Sing-Along Messiah and other events. If you believe in the power of classical music to change young lives, support our fundraising which goes directly to the Santa Rosa Symphony's Institute for Music Education. You'll be making a difference in the lives of 30,000 young musicians in Sonoma County. We have an enthusiastic and talented board of directors who epitomize the rewards that accrue to communities strengthened by volunteerism in its many forms. We welcome your support.